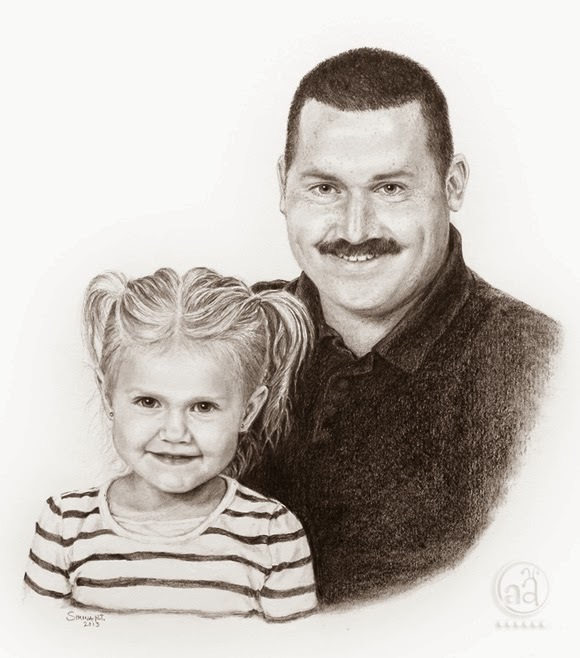 it's been a few months since i've finished this custom portrait of a father with his daughter. when i first started drawing it i wasn't too happy with the way the girl came out so i started over. i'm glad i did because the second time around i captured her mischievous personality much better. 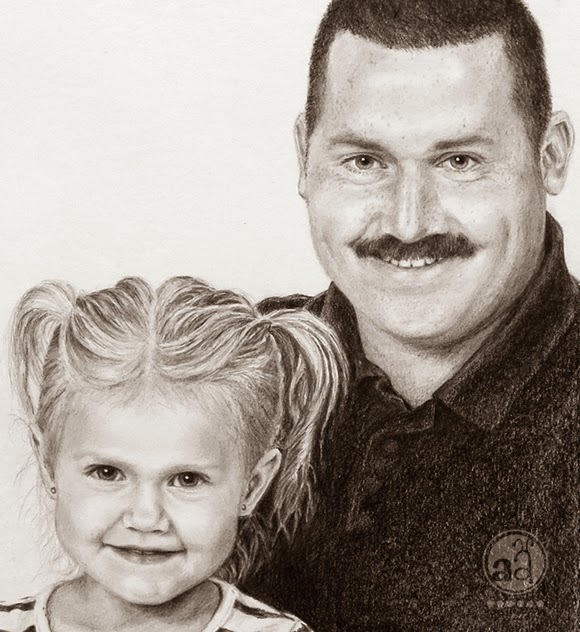 a new challenge to this portrait were the dad's freckles. so far i had not yet drawn a freckled face in a realistic style. it ended up being fun and interesting (but not 100% visible in the photo of the drawing that you see here). i realized that while it naturally takes much longer to complete a face with freckles, they help to add dimension to the drawing. i hope you'll have a good week! if your kids are done with school for the year – as are the kids in our area: have a great, adventure-filled summer break! i never thought about drawing freckles and how it might be challenging. i really love the portrait, it so sweet!